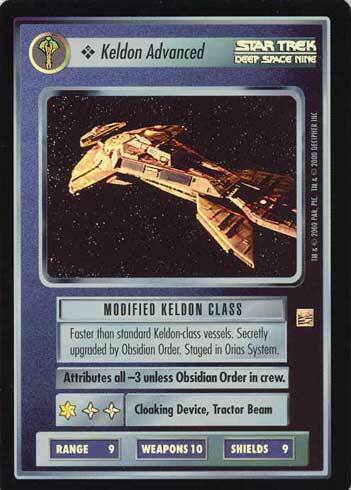 Faster than standard Keldon-class vessels. Secretly upgraded by Obsidian Order. Staged in Orias System. Attributes all -3 unless Obsidian Order in crew.